Perhaps you are currently residing by Msgr. McGolrick Park or Saint Vitus Bar, either way, if you are looking to replace your exterior siding on your home in Greenpoint, Brooklyn then you should consider choosing James Hardie Products. Greenpoint has become a popular place for people to move due to its proximity to Newton Creek and the East River. Private residence, homeowners, apartment owners and landlords are always looking for a way to update their properties but also get a long-term return on investment. 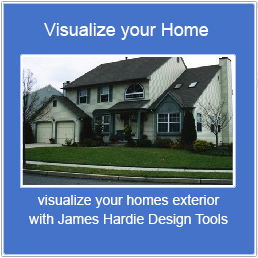 This is why many of them trust James Hardie. James Hardie products are built to withstand fluctuations in climate, which is great for those living in Brooklyn, NY. Their ColorPlus Technology is designed to withstand UV rays and other harsh weather conditions such as hurricanes and blizzards. It’s also fire resistant! If you are interested in getting a FREE quote, then give Good Guys Contracting a call. We will come to your residence in Greenpoint and help you select from the best products on the market. With over 20 years of experience, we have installed more James Hardie siding products than any other company on Long Island, and we are rapidly increasing the amount of installation in Kings County!